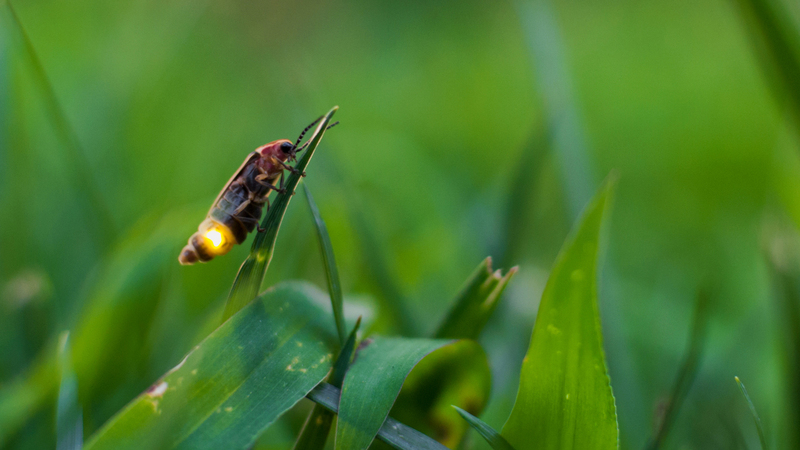 Most of the blinking signals that fireflies send out are intended to attract mates. But researchers are finding that, in some cases, these romantic overtures are not all wine and roses. Females of one firefly group, the genus Photuris, have learned to copy other fireflies’ flashes to attract the males of those species. When one arrives, she pounces, first sucking his blood, and then devouring his insides. These “femme fatale” fireflies, which live throughout the eastern United States, were nicknamed by the scientist who first described the behavior in the 1970s, Jim Lloyd of the University of Florida in Gainesville. These predatory fireflies develop widely varying light shows to target whatever species are in the area. “They alter the signal that they’re mimicking, depending on what they’re seeing around them,” said Sara Lewis, a firefly researcher at Tufts University. 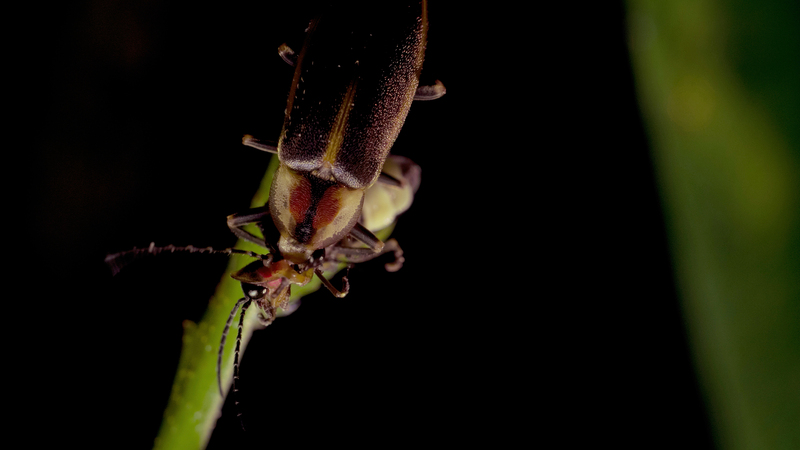 The predatory habits of Photuris are just one example of how much individual firefly signals can differ from one another. “Everyone initially thinks all fireflies are one species,” Faust said, but her book describes dozens, down to the unique flash patterns of each. The male Big Dipper hopes this bit of skywriting will get him noticed by females hiding in the grass. If the female likes what she sees, her reply comes as a single pulse from her smaller, heart-shaped lantern. That’s his invitation to land and mate. Most firefly interactions follow the same pattern, with roving males advertising themselves to concealed females. Within a species, the back-and-forth signals are so reliable that it’s easy to attract the male fireflies with even a simple decoy. Firefly light is biochemical. The complex folds inside their abdominal lanterns contain two types of chemicals, luciferases and luciferins, which interact in the presence of oxygen to produce the light. But fireflies like the Big Dippers do much more with chemistry than just make light. They can mix together an array of other compounds, including invisible pheromones for mating, and others called lucibufagins (“loosa-BOOF-ajins”) that ward off predators like spiders and birds. Males pass some of these chemicals, including the highly potent lucibufagins, to females during the mating process. 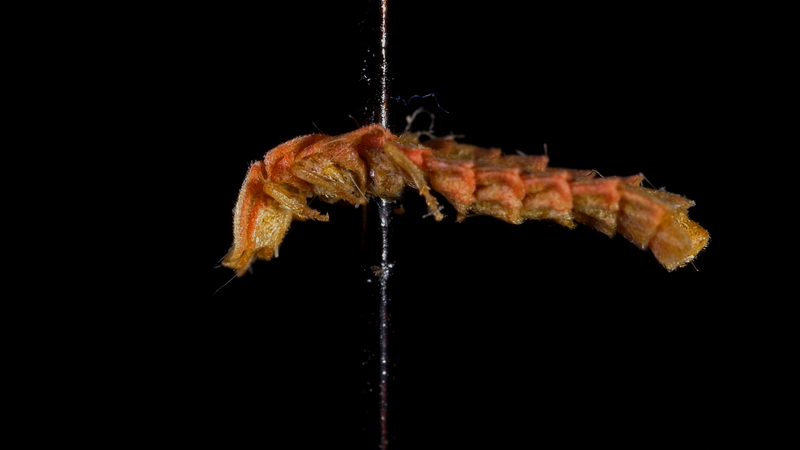 That so-called nuptial gift plays a role in the reproductive success of both partners. At some point, according to Lewis, the Photuris “femme fatale” fireflies lost the ability to make their own lucibufagins. So instead of chemistry, these bigger, stronger fireflies became adept at imitation, and evolved to turn into insect vampires to take these valuable compounds from other fireflies to boost their own defenses. And it works. In experiments, predators avoided Photuris fireflies that had recently preyed on other fireflies. What’s more, while most adult fireflies don’t even eat in their three-week lifespans -- like butterflies, they do most of their snacking in the larval stage -- the Photuris also makes a meal of her victim. Many people are surprised to learn that despite fireflies' reputation as a mainstay of the Midwest and the eastern U.S., California has them, too. Debbi Brusco, who conducts night hikes for visitors as an activities docent at Midpeninsula Regional Open Space District, won’t soon forget the first time she encountered a California pink glowworm firefly in the wild, at Monte Bello Open Space Preserve in the hills west of Cupertino. It’s now the centerpiece of a night hike she conducts every year at the preserve. Though their displays can’t rival what you find in the East, California’s fireflies are around -- if you know when and where to look. The adult females, which resemble armored, rose-colored worms, are the only ones that light up. The males fly, but don’t glow at all. Nonetheless, their mating habits follow the firefly pattern, with males on the wing searching for females hidden in the dark. With the help of an engineer friend, Brusco built a lure to attract males for park visitors. California’s fireflies are found most often near mountain springs, alongside the native snails they like to eat. Northern California is also home to a second type of firefly, one active only in the daytime. Though closely related to the nocturnal, lantern-bearing Big Dippers, members of this genus, Ellychnia, don’t light up at all, probably relying on pheromones alone to find mates. Joining Brusco’s annual firefly hike, which is scheduled in May and takes place in June, requires a reservation on https://openspace.org/what-to-do.